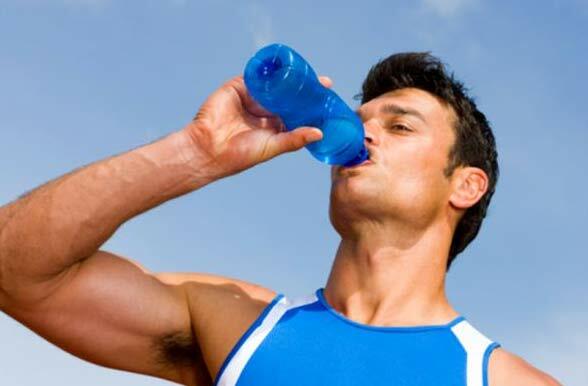 If you’re an athlete, get a glass of shut-eye! When you're an athlete, being in your best form isn't just an afterthought; it's a way of life. For major athletes it's also a livelihood in more ways than one. If you aren't getting a proper sleep you're not going to be performing at your best. Subpar performances can lose you points and, even worse, your career. Sleep disorders are so painfully common among the general population, but there's one demographic that suffers significantly more than the rest of us: athletes. A new study from Finland has some good news for this group, though. Researchers say that for the first time ever, they've shown just how treatable sleep disorders among athletes really are. For the study, now published online in the Journal of Sports Sciences , researchers from the University of Eastern Finland had 107 professional athletes take a survey about their general sleep patterns. The survey revealed that one in four of the athletes involved in the study suffered from significant sleep problems, including trouble falling asleep, snoring, and issues with breathing, such as sleep apnea. Most of the athletes surveyed admitted to sleeping too few hours and one in six used sleeping pills. Athletes who suffered from notable sleeping disorders were referred to a sleep specialist for an examination and an individualized treatment plan. Although many of the athlete's sleep troubles were classified as 'significant' the study showed that general sleep-related guidance and personalized treatment plans greatly improved their sleep, follow-up visits one, three, four, and 12 months later found. If you suffer from a sleep disorder, such as snoring, there are solutions available to you. One of the most common solutions for those who suffer from snoring or issues with breathing during the night are mandibular advancement devices (MADs). MADs are simple mouth pieces that you can wear during the night that will perform in a few ways. A good example of a MAD is the Snore RX. (read our review: https://snoringmouthpiecereview.org/snorerx/). Some of these devices will push your lower jaw forward, opening up your airways as you sleep at night. 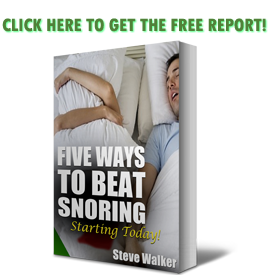 This works to clear your airways and reduce, or eliminate, your snoring. Snoring is generally caused by your muscles in your mouth and jaw vibrating while relaxed and breathing. Some mouthpieces also have a function that holds your tongue up so that it doesn't fall into the back of your throat, further blocking your airway and causing poor sleep. Depending on what your sport is, chances are you wear a mouth guard on a regular basis. Don't delay! If you want to get the best sleep you can and your issues are snoring, it's time for you to do some research.